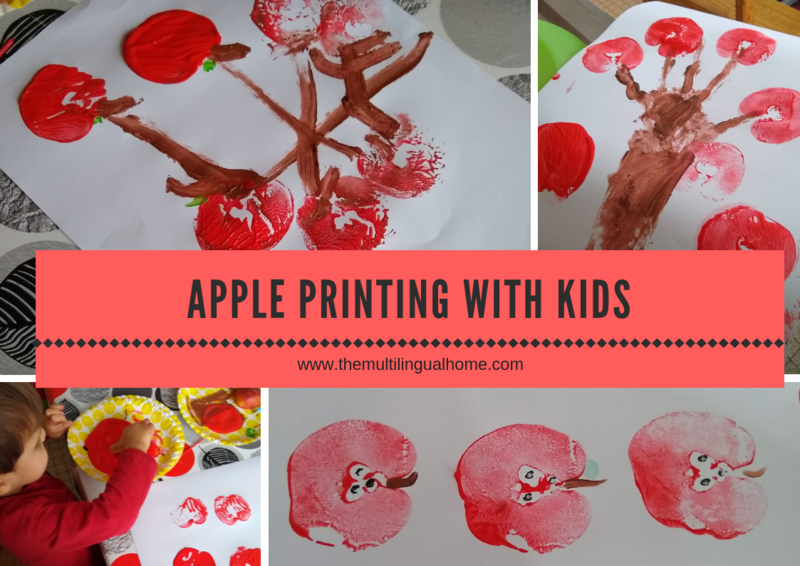 In early October, the kids were interested in learning about apples and thus the idea of apple printing with kids was born. So we went apple picking at the local pick your own. We tasted them because they had a special apple weekend and each one of us ended up like a different one. We brought home three different varieties! One of us enjoys sweet tasting apples while the rest of the family likes the tart ones. We came home with 16 kilos of one variety ! We learned how to pick apples and also the many uses of apples such as applesauce, pies, juice and eating them raw. 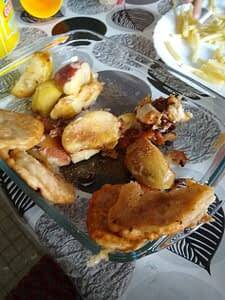 We tried making apple fries from a recipe we found online, but it didn’t work out very well. I found some other apple recipes from here but we didn’t have time to make them this year. Plus I know I’ll be the only one that’ll eat it, my kids enjoy making treats but they take one bite and they’re done for the most part. I once tried to make a tarte tatin here. 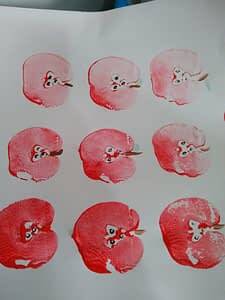 The next day we decided to cut the half-eaten apples in half and try to print with them. It’s an idea that I have seen on Pinterest for a while now. 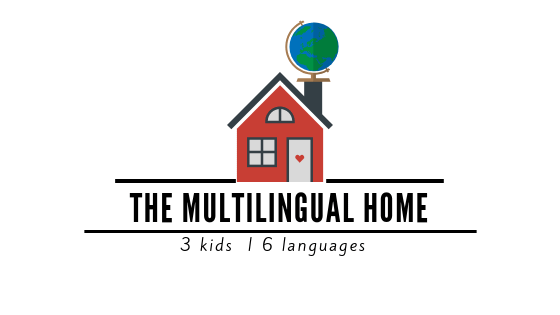 Since we aren’t homeschooling this year, I tried to pick activities that don’t require too much time. 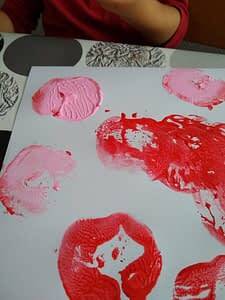 Pour paint onto a paper plate or a mixing palette. 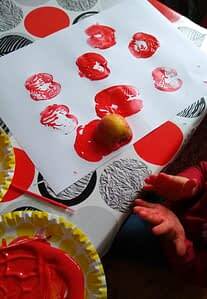 Dip apple in paint and then press onto paper. 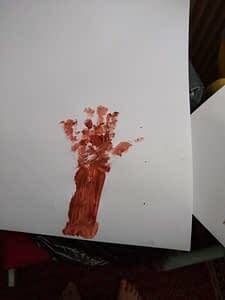 Let dry and either cut out and hang or use on a greeting card. 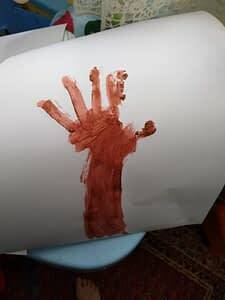 We also decided to make a bare tree using our hand print for the branches and then we painted the trunk with our fingers and brush. 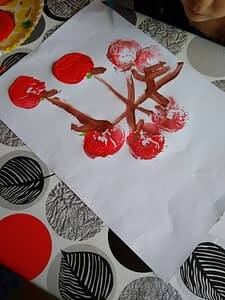 The kids then decided to print apples on the tree after it had dried so it was an apple tree. They said it looked exactly like the ones we saw when we picked apples. Would you agree ? 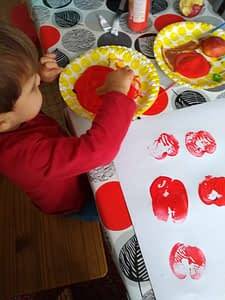 Tag us on Instagram or Facebook, if you try this activity out with your kids or grandkids! 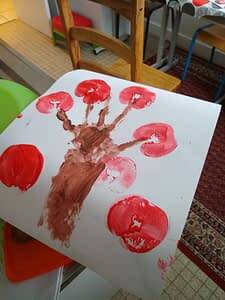 Pour paint onto a paperplate or a mixing palette. 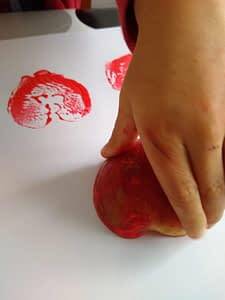 Print as many apples as you would like.